TheHague:On April1 the CIOPORA Annual General Meeting elected the new CIOPORA Board and its President. As a result, two new Board member were elected, one Board member left the Board and Mr. Andrea Mansuino was re-elected as President of CIOPORA. The election resulted in a second term for the President of CIOPORA Andrea Mansuino. He thanked the members for the vote of confidence, emphasizing that although in the past years CIOPORA has been modernized and managed to become more democratic and open both in its policies and communication, there are still many milestones to achieve. He stressed that the work on CIOPORA’s new IP position and lobby priorities will continue in the intensive pace during his second term. Mrs. Wendy Cashmore, the Manager Plant Varieties at Plant & Food Research Ltd. (New Zealand), and Mr. Andreas Kientzler, the Managing Director of Innovaplant and Kientzler Jungpflanzen GmbH (Germany) were elected as new CIOPORA Board members by the vast majority of the members in attendance.The President welcomed the new members to the Board stressing that CIOPORA will strongly benefit from their extensive expertise in the area of Plant Variety Protection and the deep knowledge of the industry. With the election of Wendy Cashmore the Board of CIOPORA gains one more representative of the fruit breeders, whereas Andreas Kientzler, who served as Chairmen of CIOPORA Deutschland for the past three years, will deliver his deep insight in the global markets for floriculture products. With the two new members the CIOPORA Board grew in terms of both geographical and professional representation of the breeders’ community. Due to the recent restructuring and company acquisitions, the DNA Green Group was represented by two members on the CIOPORA Board. It was decided that Mr. Focco Prins (Fides,TheNetherlands) will leave the Board after three years of active participation. Andrea Mansuino heartily thanked Mr. Prins for his service to CIOPORA and his valuable input into the association’s work-in-progress. The Board members Mr. Bruno Etavard (Meilland Int., France), Dr. Jan de Riek (ILVO, Belgium), Mr. Lars Henriksen (Fides, the Netherlands), Mr. Steve Hutton (Conard-Pyle, USA), Mr. Per Klemm (SelectaKlemm, Germany), Mr. Maarten Leune (Royalty Administration Int., the Netherlands), Mrs. Dominique Thevénon (AIGN,France), and Mr. Antonio Villarroel (GesliveS.L., Spain) were confirmed in office by the vast majority of the CIOPORA members, too. 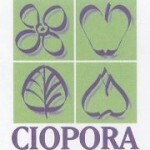 CIOPORA is the International Association of Breeders of Vegetatively Reproduced Ornamental and Fruit Varieties. Breeders of such crops hold ca. 2/3 of all PVR titles in the world. 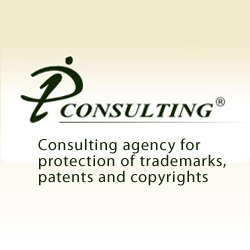 Since more than 50 years CIOPORA represents them in all matters of Intellectual Property Protection.